‘Rugged, high-accuracy laser levels from Fluke, Every day’s a school day, City planners give green light to ‘The Tulip’ Tower, Government picks firms to lead £500m modular crusade Race starts for £650m NHS Scotland framework‘. Fluke has introduced a new series of point, line, and rotary laser levels with improved durability, accuracy, and performance. These new professional-grade tools have been engineered by Pacific Laser Systems (PLS), a Fluke company, to meet Fluke’s high standards for accuracy, ruggedness, and dependability to ensure the lasers will maintain their precision for years to come. They are designed to meet the demands of harsh construction environments, while easing interior and exterior layout work. The 11 new lasers provide bright, crisp reference points and lines for quick and accurate indoor and outdoor layout, helping to complete projects on time. Studies have shown that green appears up to four times brighter than red to the human eye, which makes the green lasers more visible on the jobsite, so most models are available as red (R) and green (G) variants. The new PLS 3R and 3G, PLS 5R and 5G, PLS 6R and 6G, PLS 180R and 180G laser levels are accurate to ≤3mm at 10m and are built to provide IP54 dust and water resistance and to withstand a one metre drop. Each model features a fast settling, self-levelling pendulum to give accurate point and reference lines almost instantly. All are equipped with a pendulum lock, ensuring safe transport and helping to avoid potential wear. The PLS 3R & 3G point lasers offer three point directions; the 5R & 5G point lasers offer five point directions; the 6R & 6G line and point lasers offer four point directions, plus a 180° horizontal and vertical line; and the 180R & 180G line lasers offer a horizontal and vertical line. Fluke has also introduced three PLS rotary laser levels – the HV2R and HV2G, which emit a laser line in the horizontal or vertical plane; and the H2, a horizontal-only, red laser level. Optional accessories include laser detectors and reflective targets, a floor stand, a wall mount and a UB9 universal ceiling / wall bracket. All PLS laser levels are backed by a three-year, best-in-class warranty. Having a smart meter installed at home seldom means lower energy bills, according to new survey findings published by electrotechnical trade body ECA. Another survey by Which? yielded similar results, with the majority of people saying they thought smart meters either made no difference to or increased their gas and electricity use. One of the advertised benefits of smart meters is that they give users a real-time understanding of energy use and spend so people can make changes to cut back. But the research from ECA and Which? indicates that many are not seeing this benefit. The results of the Which? survey found that 34% of smart meter owners think their gas and electricity use has reduced since they had a smart meter installed. In contrast, 20% think theirs has increased. The remainder didn’t think that their energy use had changed since getting a smart meter. Which? also found a correlation between a drop in energy use and the attitude of the householder. Customers who said they had a smart meter installed because they wanted one were more likely to find that their energy use had fallen since they got one. 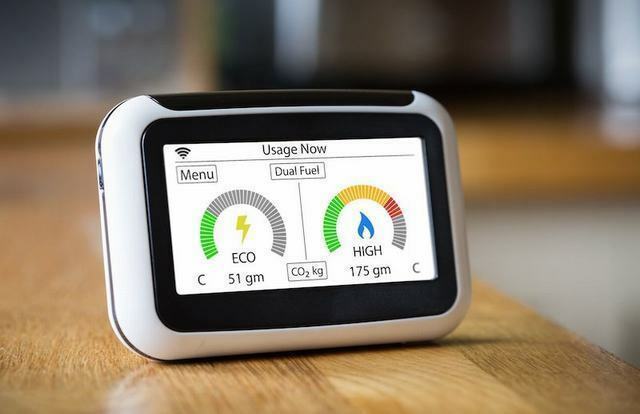 Some 42% who installed a smart meter because they wanted one and proactively contacted their energy company said that their energy use had reduced since getting one. Similarly, 47% of those who were recommended smart meters by family or friends said that their energy use had decreased. But only 26% of those who said they were persuaded by their energy company to have a smart meter agreed that their energy use had fallen. Overall, those who were proactive in getting a smart meter seem to have been more successful in cutting back on how much gas and electricity they use. Every tradesman is familiar with cable routing and the risks of splinters with some cable rods. That became a painful reality for Jason Price of Jason Price Electrical Services, whose hand was badly injured last year when a cable rod by another supplier splintered during use. Thanks to C.K, Jason became the proud owner of a C.K MightyRods PRO Cable Rod Set, which offers total protection against splinters due to a unique SplinterShield ™ coating. Will Sheridan from C.K originally heard Jason’s story during a visit to wholesaler, Seryn Electrical and, by chance, recently met him again during another visit. 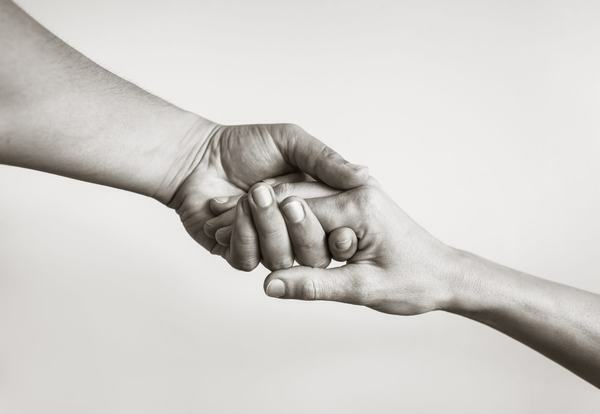 Jason is still suffering intense pain in his injured hand and an operation to remove the splinter has proved unsuccessful, leaving the splinter embedded and resulting in ongoing pain. On a lighter note, Will took the opportunity to present a delighted Jason with C.K’s SPIRAFlex rod, to help make his work that much easier. Working with professional tradesmen helps C.K find solutions to end user needs and enables C.K Tools to develop the most advanced cable routing products. The C.K MightyRods PRO are specifically designed to combat the issues of painful splintering and snapping, thanks to an innovative SplinterShield™ coating – Europe’s first splinter-proof material – that protects the rods and allows both safe efficient working conditions. C.K realised that flexibility is also key to successful cable routing and introduced its super-flexible SPIRA-FLEX rod, perfect for accessing tight corners, bends and other obstacles. 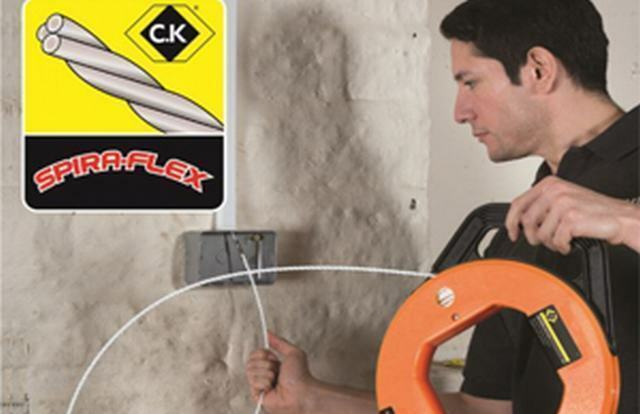 The SpiraFLEX draw tapes offer fantastic benefits when it comes to hassle-free cable routing. The super flexible and immensely tough 4mm Ø SpiraFLEX draw tape, offers a major improvement on standard nylon and steel draw tapes, which are often prone to twisting and kinking. The latest introduction – the C.K Gloworm Cable Router– adds another dimension to the range and is perfectly designed for running cables around tight corners, through insulation filled walls, underneath flooring and across ceilings. Gloworm’s clever glow in the dark phosphorescent polymer construction, aids routing in low light conditions and easier navigation towards exit points. When charged under natural light, Gloworm provides an effective glow for up to 30 minutes. For further information on the SpiraFLEX draw tape please visit www.carlkammerling.comor call 01758 704704. When you work on the tools, learning is not just about sitting in a classroom. It’s about getting your hands on the products in a safe, well equipped environment, under the guidance of experts, who, like you, understand what it’s like at the coal face. If you’ve ever attended a boiler breakdown, and been faced with a situation you haven’t seen before, it can be a real challenge. However, the knowledge gained from attending a good quality training session can give you the confidence to step back for a moment, assess the situation and take a logical approach to diagnosing the issue. Training is also about inspiring young people. My favourite moment during a training course is that ‘lightbulb’ moment, when something suddenly clicks into place and the trainee ‘gets it’. You know you have taught them something that will stay with them for the rest of their working life! Training isn’t just about learning all the ins and outs of a boiler; it’s about getting to grips with the latest legislation and industry requirements. 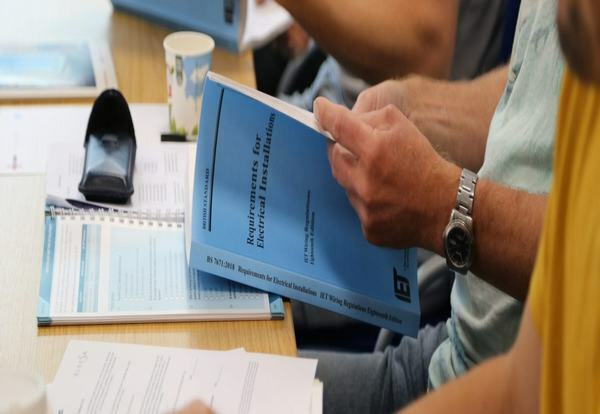 We know that there isn’t always time for reading up on this important part of an installer’s business, so we make sure our training courses include an overview on legislation and time for delegates to ask questions. We understand that taking a day out of a busy work schedule for training has to be really worthwhile, and we want you to leave feeling you’ve gained valuable knowledge. We also found out from surveying delegates, that they want practical sessions, where they can get their hands on boilers and components, rather than sit in front of a PowerPoint presentation in a classroom. So, all our courses are designed so the installer spends as much time in front of a boiler as possible. Our experienced trainers have all been heating engineers and are fully qualified. They will show you lots of hints, tips, and diagnostics to help you install, commission, service and repair products. Our boiler training days are free of charge and easy to book through our website . If you let us know what you are particularly interested in, we can tailor your training day to suit your requirements, so you can make the most of your time with us. We have live products for delegates work on, in a safe environment, and one of our experienced trainers is always on hand to help. Any classroom theory is kept to a minimum and is essential to support the course’s practical elements. We will also give you up to date information on ErP and other legislation. Although our courses run for a full day, we understand that installers have businesses to run, so we factor in breaks when they can make calls and take care of their customers. Whether they’re an old hand or new to the job, our aim is for delegates on our training courses to gain the skills, know-how and confidence to do a good job even better. And hopefully, take away a few of those ‘lightbulb’ moments that will stay with them throughout their career! 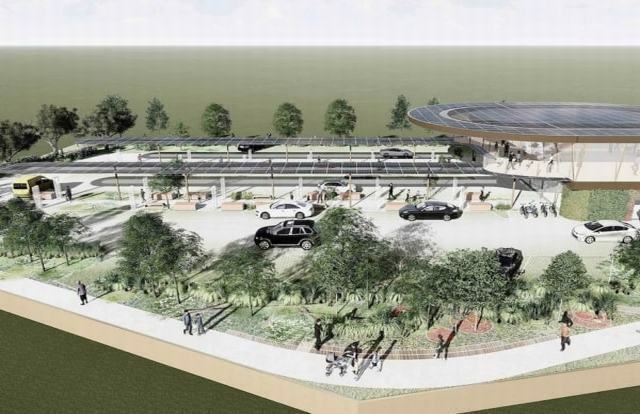 Power infrastructure specialist Gridserve has unveiled plans for a £1bn network of rapid charging forecourts for electric vehicles. The UK-wide network of more than 100 Electric Forecourts will allow private and fleet vehicles to be charged in less than 30 minutes. Gridserve is also planning to build new solar farms to supply the forecourts with clean, low cost energy. 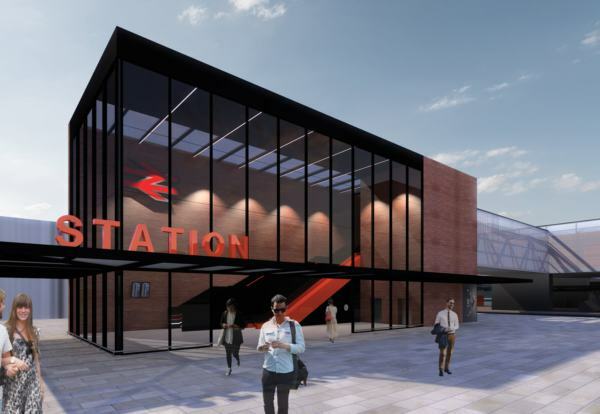 Construction is scheduled to start on the first sites later this year in York and Hull. Toddington Harper, CEO of GRIDSERVE, said: “We plan to make charging electric vehicles as easy as using petrol stations. The forecourts have been designed and engineered in partnership with Arup. The City of London Corporation has approved a planning application from Foster + Partners for the tallest tower in the Square Mile. The team behind the Gherkin plan to build “The Tulip” next door on Bury Street. 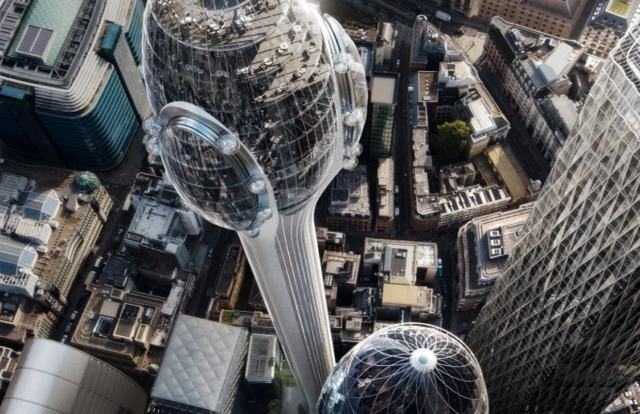 It will have a total height of 305.3 metres – making it the second tallest building in Western Europe after the Shard. The City Corporation’s Planning and Transportation Committee gave the go-ahead by a vote of 18-7. 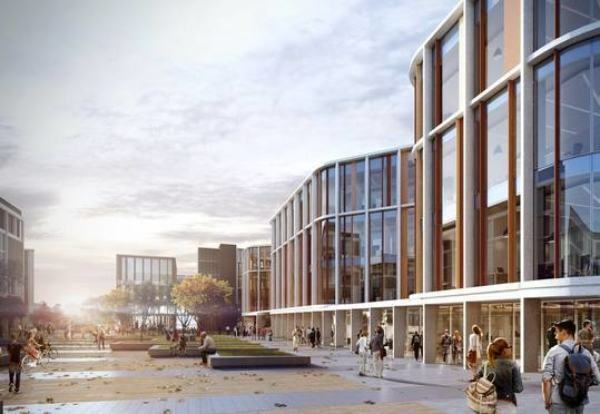 The Tulip will include a viewing platform with rotating pods, a restaurant and sky bar, cycle parking and shower facilities, a new pocket park at street level, publicly accessible rooftop terrace, and an entire floor dedicated to education facilities during school hours. 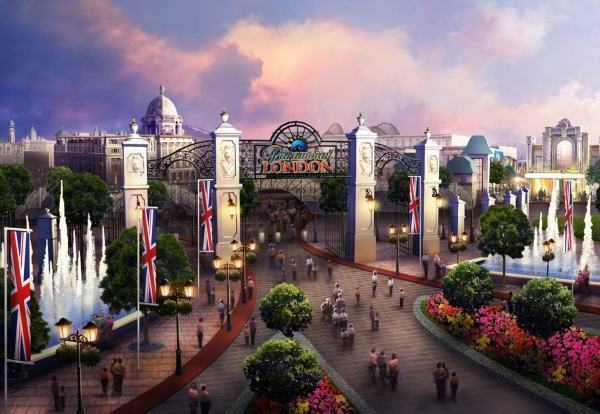 Planning Committee Chairman, Chris Hayward, said: “After a lengthy and robust debate, the committee agreed to approve this truly unique visitor attraction. “One of my key objectives as Chairman of the Planning and Transportation Committee has been to enable the continued transformation of the City of London into a place which welcomes members of the public on weekends as during the week. MPs are demanding a major review of working at height in a bid to cut the number of deaths and accidents caused by falls. The All-Party Parliamentary Group (APPG) on Working at Height has published a new report calling on the Government and industry to undertake a major review of working at height culture. It also wants to see improved reporting of incidents and introduce reporting on near misses. The report, Staying Alive: Preventing Serious Injury and Fatalities while Working at Height, is the result of a 12 month inquiry by the APPG. Politicians explored why 18% of people who die at work do so as a result of a fall from height, and what steps can be taken by government and industry to prevent incidents for the millions of people in the UK that work at height. The introduction of an enhanced reporting system through RIDDOR. The appointment of an independent body that allows confidential, enhanced and digital reporting of all near misses, to be shared with government and industry to inform health and safety policy. 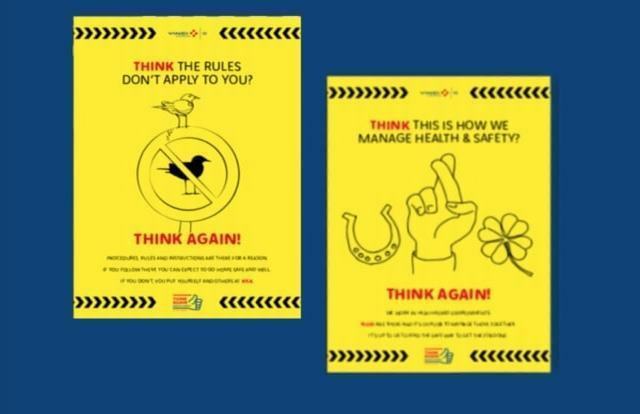 The extension of the Working Well Together – Working Well at Height safety campaigns. An equivalent system to Scotland’s Fatal Accident Inquiry process extended to the rest of the UK. 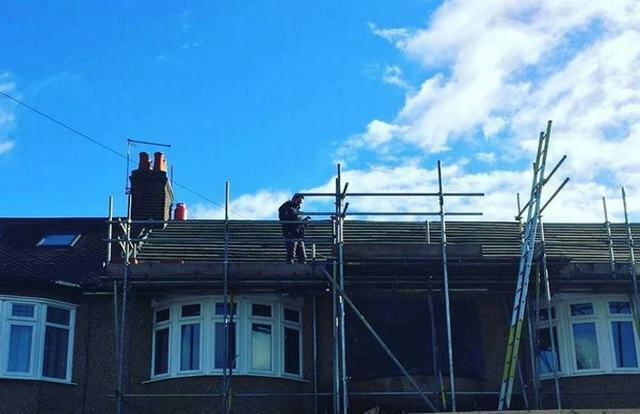 Alison Thewliss, Chair of the APPG on Working at Height and MP for Glasgow Central said: “Every fall from height can have life-altering consequences for workers and their families. There is an urgent need to improve work at height culture, yet this issue is sadly not at the top of decision-makers’ agenda. “A lack of empirical data prevents us from understanding the root causes of falls from height. This is compounded by a cultural obstacle when it comes to supporting people to report unsafe practices. The APPG is now calling for a further period of consultation and a major review of work at height culture, including how to engage with difficult to reach sectors, the suitability of financial penalties, and the role of digital technologies in improving the safety environment. Amid the Brexit fiasco, more controversy has been announced this morning by the Fédération Officiel d’Operateurs Léctrique. 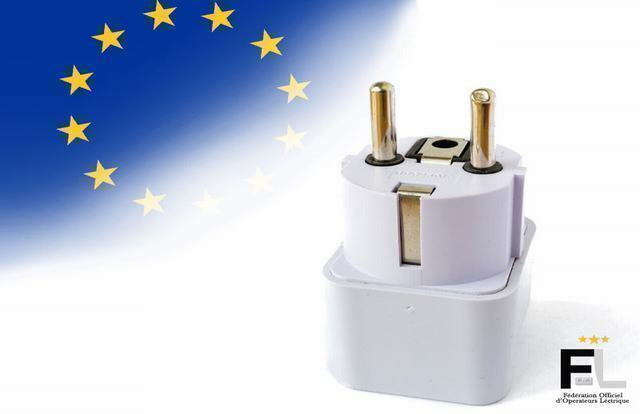 Today in Brussels, the Fédération released a statement claiming that if Britain is to remain in the European Union it will be made a legal requirement for us to replace our beloved three pin plug with the European two pin. 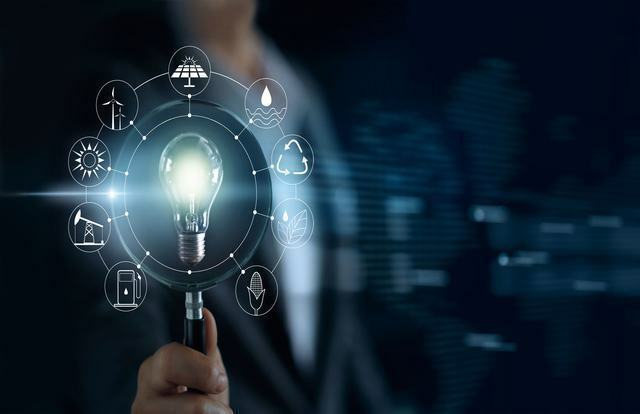 The legislation will be enforced in an effort to show Britain’s unity and solidary with the rest of Europe and the responsibility Britain’s Electrical industry has to comply to European standards. Marketing Director Avril Un explains: “We appreciate British Electricians will be faced with a great task in replacing the three pin plug but we are confident that in doing this Britain’s relationship with the EU can prosper. Additionally, this legislation will create a number of new job opportunities for British Electricians”. 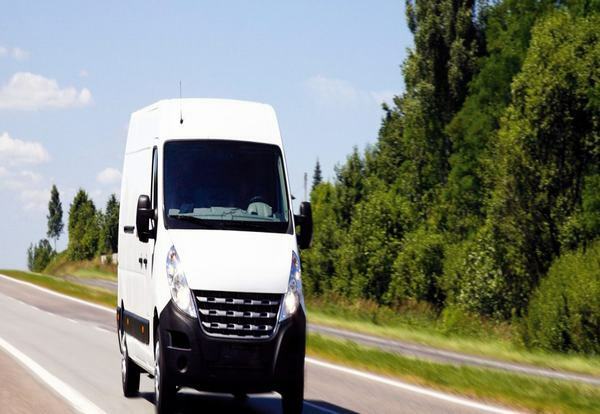 For more information regarding the legislation and the Fédération Officiel d’Operateurs Léctrique click here. Hydrogen gas is considered one potential option in the medium-term to longer-term that will help realise national aims for lower carbon homes. As such, a range of public and private sector research and development projects are already underway to determine how this might be viable on a commercial and technical level. Graeme Dryden, technical services manager with the Association of Plumbing & Heating Contractors (APHC), said that there was significant uncertainty over how exactly greener gas such as hydrogen or biomethane may support UK aims to at least halve current energy use in new buildings by 2030. The claims were made during a series of workshop events hosted by the APHC and Worcester Bosch to consider upcoming changes in heating standards and technologies. Government has pledged to end fossil fuel heating, including existing gas boilers, in all new build properties by 2025. A question mark therefore remains over what role, if any, a revised grid will play in the design of future buildings. Mr Dryden noted that while Biomethane could potentially be adopted in the gas grid within a short-term scale of around 12 months without needing a root and branch reform of appliances, research was ongoing into the suitability of hydrogen as a green alternative to using fossil fuels in the home. 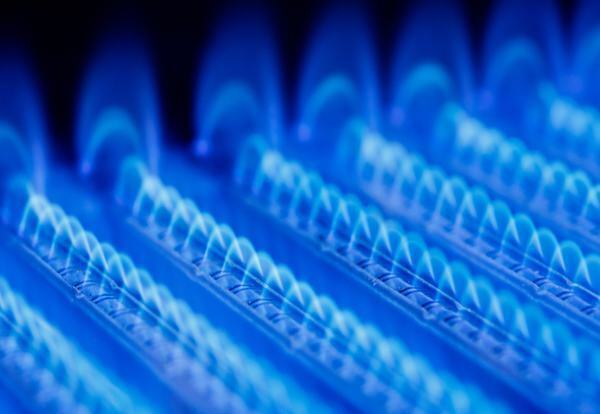 This research was presently underway both at a government and industry level to look at whether a blend using hydrogen, or a switch fully to the gas can effectively be piped in and used in a new range of heating appliances, as well as creating a sustainably produced supply. 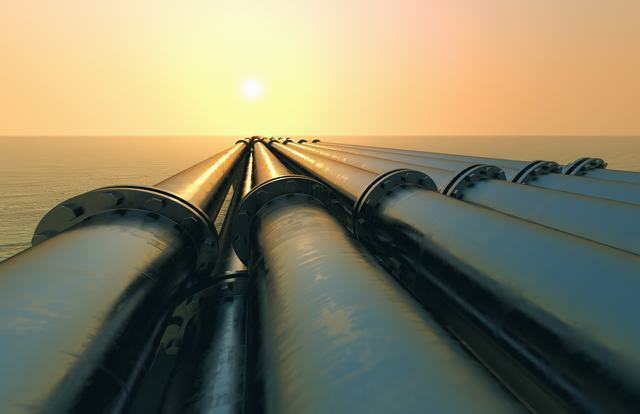 However, the path to ensuring widespread adoption of the gas was not clear. Mr Dryden said that any switch to hydrogen level on a widescale would not be realised until 2030 at the earliest, but was confident that it was the future for industry alongside electric heating. Shaun Clayton, a technical training engineer with Worcester Bosch, added that cost would be another vital consideration in determining whether hydrogen was in any way viable as either a national or regional solution for greener heat. Mr Clayton added that technical challenges posed from the use of biogases, such as the possible creation of silicon-like materials during the heating process, may for example require additional and more costly maintenance work and servicing. He said that would create a notable problem in deciding who would be accruing the costs to ensure consumers faced minimum impact from any change. Behind the scenes of cable manufacturing: The hidden benefits of buying a quality cable. There will be many decades of accumulated knowledge and know-how applied at each stage of the cable manufacturing process. From the definition of materials to the permissible sizes and constructions, through the manufacturing processes to the testing and quality assurance. All these provide the hidden benefits of buying a quality cable. 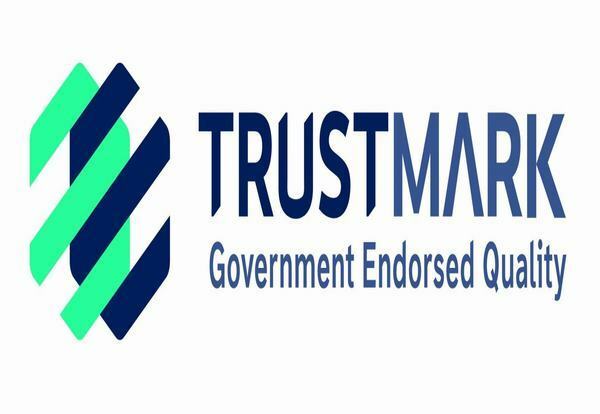 Cable manufacturers are expected to conduct quality assurance tests and checks before shipment, but unless the manufacturer is enrolled in a recognised approval scheme, such as BASEC, this may not be supervised by independent experts. That is the reason why top-flight approval schemes like BASEC operate their own test laboratories, equipped with the latest equipment, fully accredited by internationally recognised bodies like UKAS, and employing experts with many years’ experience in laboratory practice and product testing. By basing its certification decisions on comprehensive initial type testing across a range of production capability, coupled with regular sampling of manufactured cable (up to 200 samples per year from each factory) purchasers will have peace of mind that cable supplied to their projects will be under constant scrutiny by both the manufacturer, and independently by BASEC. BASEC’s state of the art cable test laboratory, based in Milton Keynes, UK, can trace its heritage back 40 years and has been testing thousands of samples each year throughout this period. WHAT KINDS OF TESTS ARE DONE ON CABLES? Cables made to defined standards are subject to numerous tests and examinations, often many hundreds for a complex cable. These are grouped into construction, mechanical, materials, electrical, chemical, fire and smoke. Specialist types of cable are often subjected to more exotic tests. HOW IS ELECTRICAL TESTING DONE ON CABLES? Key to cable quality and safety are electrical properties, including the current carrying capacity derived from the copper (or aluminium) content of conductors. This is tested by resistance meters capable of micro-Ohm precision, calibrated regularly and with the sample kept at a constant controlled temperature to ensure a correct measurement. 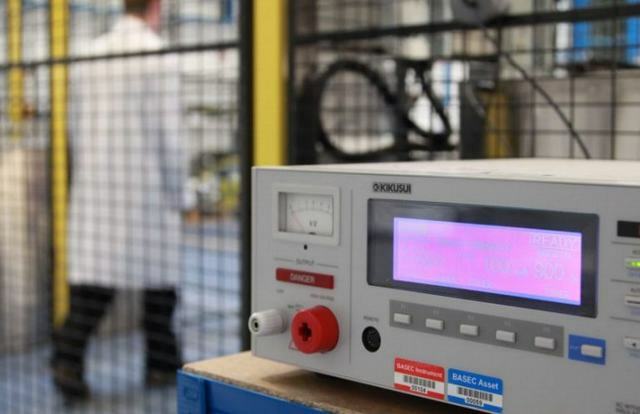 Electrical safety is ensured through voltage and insulation resistance testing, usually at many multiples of the rated voltage, carried out on the whole cable and its separate components. Some more challenging tests are conducted in hot water. BASEC can safely conduct tests up to 100kV, ensuring a wide range of cables can be assessed in-house. 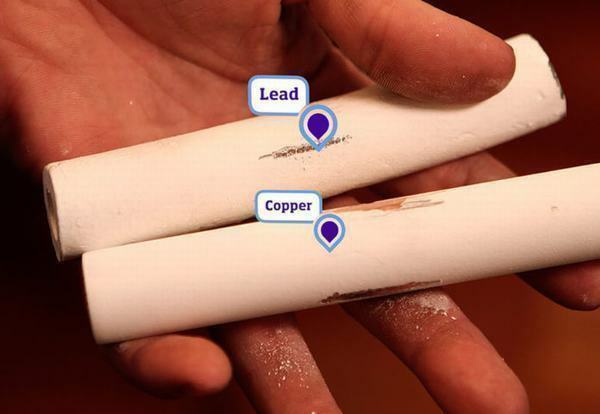 WHAT TYPES OF FIRE TESTING ARE NEEDED FOR CABLES? Fire safety is of increasing concern to end users, and new material classes such as LSHF have emerged over the years, which provide a much greater degree of safety and reassurance. All cables are expected not to propagate fire, and most will undergo a small Bunsen burner test, but some go beyond this to continue operating during a serious fire, without affecting circuit integrity. BASEC operates a comprehensive suite of circuit integrity fire tests to British, European and international standards. Fire spread is another key concern of architects and designers, so BASEC also has the capability to conduct vertical flame tests on bunched cables, including the new European CPR classification tests. While safety is a critical concern for many users, reliability and longevity are of importance to most projects, especially in construction. Cables are tested for the materials used, which are subjected to a variety of environmental threats that that might experience in use, such as heat, oils and other fluids, ozone, UV, cold, impact, abrasion and many others. The projected lifespan of a cable will always depend on how it is used, but simple artificial ageing in an oven, followed by tensile testing for strength and elongation can tell you a lot, particularly as there are strict limits to how much a material can change in properties during this ageing. For end users, simple constructional aspects such as the correct marking of the cable, including readability and durability, are also important for long terms safe and flexible use. The BASEC cable approval schemes apply all applicable laboratory tests to each cable type, on at least an annual basis. This shows that each approved manufacturer is continuing to produce consistently good quality cable, giving the specifier and purchaser peace of mind that if they fit a BASEC approved cable they will get the performance, safety and longevity they expect. 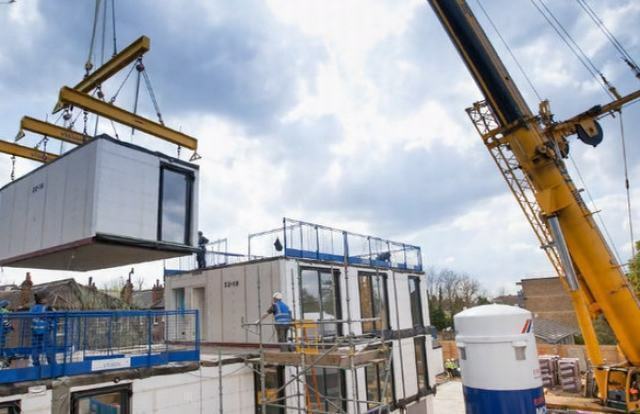 The Crown Commercial Service has named its favoured 23 firms to deliver a modular buildings revolution for public sector projects. The line-up includes five major suppliers – Caledonian, Elliott, McAvoy, Portakabin and Wernick – supplemented with 18 SMEs. The new ‘uber’ framework for modular buildings will operate for the next four years and has been carved into seven lots, including design and build of specialist education and healthcare modules as well as other public sector building. It has been developed with a particular focus on education and healthcare, with Lots 1 to 4 focussing exclusively on these sectors over different value bands. Lots 5 to 7 are for the supply of modular building solutions for all other sectors, including housing, defence and commercial and retail. The Modular Building Solutions framework will supersede the existing Department for Education and Skills framework established last year. John Welch, Deputy Director – Construction Services, said: “CCS is really pleased to be able to provide the public sector with such a comprehensive solution to their temporary building requirements. “The current generation of modular buildings are solid, well insulated, and can be appropriately specified – providing a quick, safe and cost-effective answer to our customers’ needs. 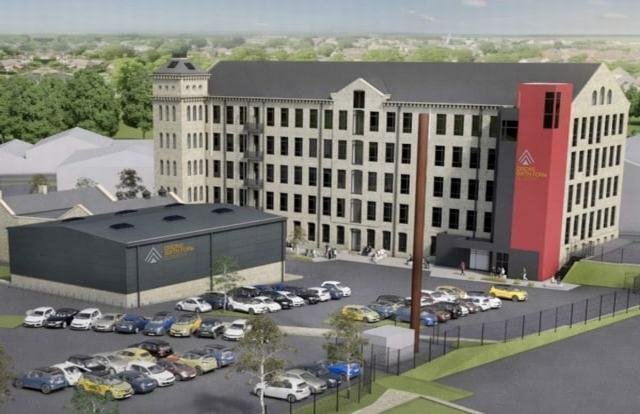 Kier has been named by the Department for Education to design and construct an 880-place academy in a grade II listed mill in Bradford. The £13m academy will be based on Old Bowling Lane in Douglas Mill and is being built for Bradford-based Dixon Academies Trust as its first standalone academy for 16-18 year olds. Kier will refurbish the mill and coach house building, which was previously occupied by the NHS and construct a new build sports hall. The sixth form is scheduled to open to its first cohort of 360 students late August 2019. This will increase to its full capacity of 880 students by September 2021. John O’Callaghan, managing director for Kier Construction Northern, said: “We are thrilled that the DfE has appointed us to deliver Dixons Sixth Form in Bradford. The latest win reinforces Kier’s position in the North of England’s education sector, where it has recently delivered a £7.3m sixth form centre as part of the Kirklees College’s new learning quarter, and an extension to Liverpool City College. 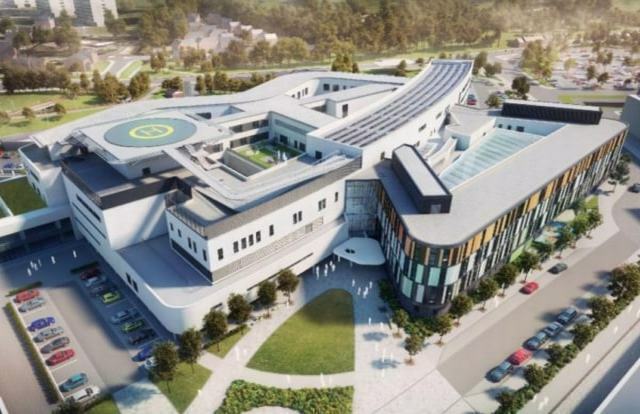 NHS Scotland has opened the contest for a place on its third generation construction framework for publicly-funded healthcare projects. Balfour Beatty, Graham, Kier, Laing O’Rourke and Robertson-led RMF Health now face a fight to retain their places after eight years on the previous preferred list. The new framework will focus on greater collaboration, best practice design and respond to recommendations of the Cole report into procurement in Scotland, and demonstrate value for money. Winning firms will have the chance for a share of a £110m annual spending programme on community hospitals, primary care centres, mental health units and other acute services. Interested firms have until 9 May to return questionnaires with shortlisted firms invited to submit tenders in June. ‘Research shows growth in demand for smart controls, First ever tradesman blacklist launched, Kent Uni tenders £20m life science building, Ban new homes from gas grid by 2025, says CCC, Only 21% would upgrade a working boiler, research reveals’. Smart heating controls are likely to take market share from conventional heating controls in the longer term, according to the latest Domestic Central Heating market report (2018-2022) from AMA Research. In 2017, it was estimated that around 30% of heating controls sold by value were smart heating controls. This figure was deemed likely to increase to over 45% of heating controls sold by value by 2022. 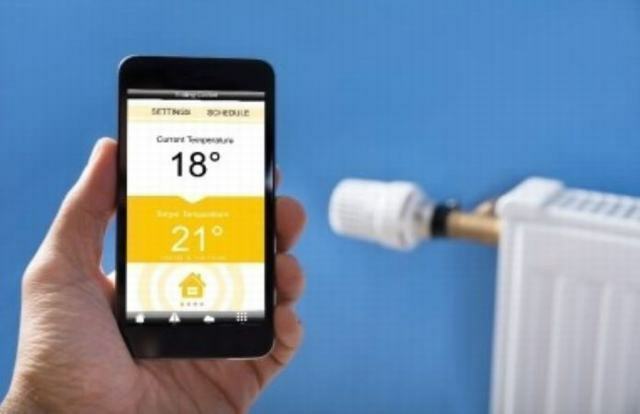 UK householders were becoming much more environmentally aware and using smart heating solutions in order to minimise energy usage and to save money, AMA found, estimating that around 5% of UK homes now have smart heating controls installed. In this exclusive editorial, Tamlite Lighting explains why low-quality lighting can have an adverse effect on wellbeing and assesses why high-quality luminaires are essential for today’s business owners. ‘Buy cheap, buy twice’ is an attitude echoed throughout the construction industry, so it pays to provide solutions that focus on quality rather than cutting costs. To this end, there have been a number of initiatives to try and minimise the prevalence of ‘spec-breaking’, as project design teams look for the cheapest alternative to their needs, rather than using products that will provide the expected benefits. One such initiative is the Building in Quality (BIQ) Quality Tracker, developed by RIBA (Royal Institute of British Architects). This picks up on the construction industry’s many efforts to improve quality in buildings in the wake of several high-profile events, not least the Grenfell Tower fire. It resonates particularly strongly with what Dame Judith Hackitt described in her Independent Review of Building Regulations and Fire Safety: Final Report as the ‘golden thread’ of information from concept to finished building and beyond. This is particularly key for lighting designers and specifiers. Lighting upgrades are often required for specific reasons, whether it’s improved energy efficiency, better quality of illumination, or more control of the lighting. If an upgrade is carried out using cheaper luminaires that do not fully match up to the original specification, then end-users may find themselves no better off than they were initially. When specifying a new lighting system, switching to LED isn’t enough. This is a common pitfall when choosing luminaires for a lighting upgrade. While LED fittings do indeed tend to be more energy efficient than fluorescent alternatives, cheaper LED luminaires may not offer the longevity or improved illumination that comes with higher quality luminaires. A common complaint with cheaper luminaires is a lack of glare control. Discomfort glare can be a major problem for people trying to focus, particularly in offices or education environments. Luminaires that cause reflection off desks or computers can cause serious problems for workers and students, highlighting the need for luminaires fitted with specialised diffusers or beam angles to reduce the prevalence of glare. This can be pivotal from a specification perspective, as lighting designs may be put together based on certain luminaires being installed. If a specification required certain spacings between luminaires in order to achieve a higher UGR rating, and cheaper fittings are used instead, then this may lead to dark patches throughout the room. An uneven light distribution can lead to eye strain and discomfort, which can cause headaches and affect people’s wellbeing. As wellbeing is becoming increasingly significant for business owners and facility managers, a lighting system supplied to full specification can have considerable benefits for end-users in terms of productivity, employee performance and reduced absenteeism. There has been a lot of recent research into employee productivity and wellbeing, and there is no denying the logic that happier, healthier and more comfortable employees are going to be more productive, and the notion of fashioning workplaces that are conducive to good health is certainly not a new one. The role of lighting in enhancing wellbeing in the workplace cannot be understated. The circadian rhythm is the natural daily cycle that helps humans wake up in the morning and fall asleep at night. Naturally, humans are exposed to bluer light in the morning to midday, followed by warmer colour temperatures in the afternoon and evening. Artificial lighting in workplaces that replicate this can make people feel more in tune with their natural rhythms, and in turn will enhance their wellbeing and boost productivity and focus. Higher specification luminaires can achieve this through tunable white lighting. Hence, lighting designs that require tunable lighting must be wary of ‘spec-breaking’, as cheaper fittings may not be able to replicate natural colour changes. Furthermore, factors such as flicker and glare are more prevalent with poor quality luminaires, and these can seriously impair the wellbeing of employees. The considerable benefits of wellbeing for business owners, as well as end-users, cannot be ignored. One in six workers feel that their workplace is having a diminishing effect on their wellbeing (according to the British Council of Offices), so the value for employers in terms of staff retention and happiness is clear. Furthermore, the World Green Building Council found that an improved lighting design can lead to a 23% increase in productivity, highlighting the link between lighting and improved employee performance for businesses. A number of studies also suggest that concentration, focus and learning retention in schools, colleges and universities are all linked to light. The problems, then, of ‘spec-breaking’ when installing a lighting system can be significant. 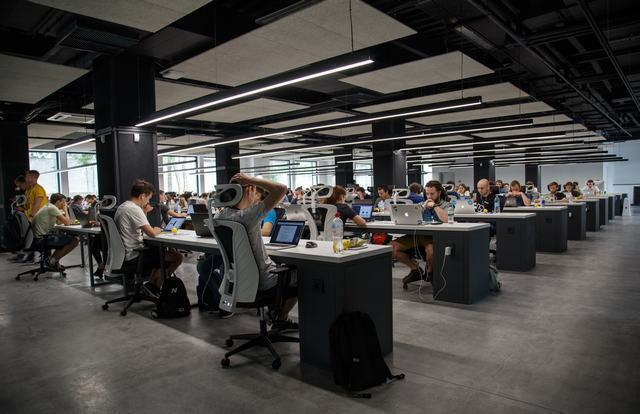 If cheap alternatives to modern, high quality luminaires are specified, then substantial benefits may be missed in terms of worker wellbeing and retention. Highlighting the benefits of lighting for wellbeing to customers can not only discourage cheaper alternatives from being used, but may also increase the likelihood of a one-phase project becoming a multi-phase scheme, which can provide significant, long-term benefits for contractors. While 44% would upgrade a TV that still worked, less than half of this would choose to do the same with their boiler, according to new research from Hometree. In a survey of over 2,000 UK adults, three in five (59%) admitted to upgrading a product needlessly. Of these people, 35% said they just ‘fancied a change’, and 19% said they found a model that looked better. The research found that while many would upgrade a perfectly good TV (44%), wearable tech (42%), and smart speakers (40%), only half as many (21%) would choose to upgrade a boiler. Boilers, in fact, came at the bottom of the list of items people would choose to upgrade, behind washing machines (25%), fridges (26%), and vacuum cleaners (31%). 79% of respondents actually said they would be irritated to have to spend money upgrading their boiler. A quarter said they would be annoyed, with a further 54% extremely annoyed, “begrudgingly forking out” their money. On average, the research suggested that people upgraded their boilers around every nine years, while people upgraded their TVs every six, smart speakers every four, and wearable tech every three years. Simon Phelan, Chief Executive of Hometree, said: “Boilers are bottom of people’s lists when it comes to upgrades, despite them being the heart of the home, arguably the most important white good. 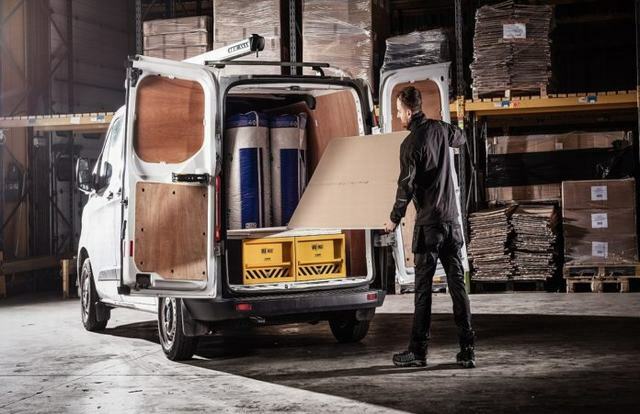 For years, it was not just the expense, but the whole rigmarole of the process that was a pain – from the time getting quotes and installing it, to being sold extras you’re not sure you need, and so on. In 2019, things are different. The process can now take days not months, and prices through online-led installers such as Hometree are considerably less than they were with the established providers. The research was carried out by Censuswide. Fieldwork took place between 25 and 28 January 2019. The questions were asked to a nationally representative sample of 2,005 UK adults aged 16 and over. A surge in doorstep rogue traders is ripping off thousands of home owners for shoddy work that is unfinished, not even started or grossly overpriced. Police and Trading Standards held a national day of joint enforcement action, Operation Rogue Trader, which saw Trading Standards work alongside police to target rogue traders and aggressive doorstep sellers. Officers were able to identify 708 individual offences, leading to 19 arrests and the seizure of 39 vehicles. Consumers were saved nearly £5,200. (Source: Trading Standards, November 2018). There is no single trusted source of cowboy builders and workmen available to the general public, until now. PropertyHeads.com, the property and social network portal, has just launched a Tradesmen Blacklist of rogue traders that have a criminal record – the first of its kind. propertyheads.com/tradesmen_blacklist. With over 1,000 names recorded in the Tradesmen Blacklist, homeowners are invited to report rogue traders on the portal, so they can be added to the database. 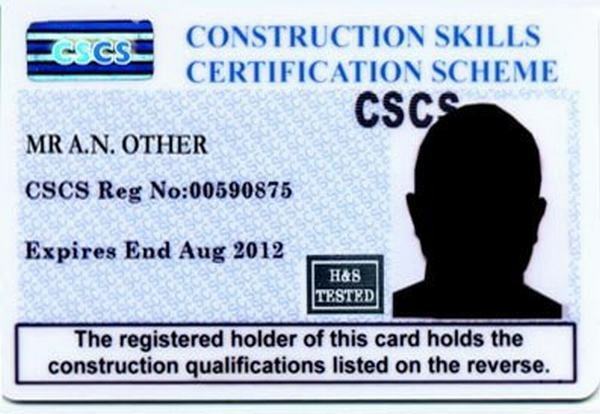 Users can search the portal’s database of hundreds of convicted tradesmen, as part of their background checks when looking to hire some help. But the Blacklist is about more than just cowboy builders and fraudsters, it has several convicted murderers and rapists on the Blacklist – not people you would knowingly invite into your home. Research from the Traders Blacklist reveals that the majority of rogue traders are builders (26%), followed by roofers (17%), driveway traders and gardeners (13%), painter and decorators (11%), plasterers (10%), bricklayers (6%) and carpenters (4%). Many rogue traders are repeat offenders and some have more than 50 convictions. High risk areas include County Durham, Kent and Essex with low risk areas including Buckinghamshire, Cambridgeshire and Greater London. Ben Davis, CEO of PropertyHeads.com comments: “We are appalled that so many homeowners are being ripped off by rogue traders and want to help. 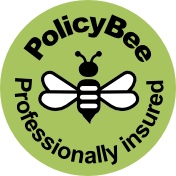 Quite simply reputable companies do not doorstep for new customers and homeowners would be well advised to avoid those that do. “It is widely accepted that the best way to engage a reliable tradesman is by word of mouth. But how can you possibly know which of your friends and colleagues has used a reliable tradesman without asking all of them? And why is it that traditional tradesman review websites are built around anonymous reviews? “PropertyHeads.com addresses both of these issues as it shows users the reviews from people they already know and trust when they search for a tradesman. This is great news for the consumer. Not only do they easily get reviews, they can also attribute to a friend, or colleague. It makes the process of referencing and inspecting tradesmen’s work that much easier too. It’s also good for genuine tradesmen, as they are able to grow their businesses by word of mouth. “Three things struck me when we put together the Tradesman Blacklist. Firstly, rogue tradesman will go to extraordinary lengths to mislead their victims including faking their own cancer and using vehicles with government agency sign-writing. Secondly, even those with seemingly reputable backgrounds – we have several ex Police and military in our Blacklist – are capable of awful crimes. And third, the sheer number of victims involved. It’s vital that people carry out research before they have any building or maintenance done, as it could save them thousands in the long run. Ask for recommendations, perform background checks, insist on and keep all paperwork and do not pay in advance. 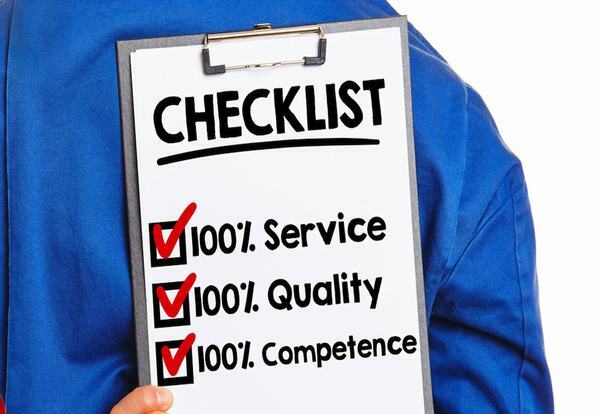 There is so much information available online but, only PropertyHeads.com shows consumers reviews from people they already trust. Be suspicious of anyone who comes to the door offering to fix your roof etc. – Do not work with door steppers at all. The PropertyHeads.com Tradesmen Blacklist has hundreds of examples of doorsteppers often preying on the elderly (oldest reported victim 99) and sometimes returning to time and again until life savings have been taken. – Get paperwork in order. Keep copies of the contract, invoices and receipts. Ask for details of insurance and keep those too. No written contract / details of work, best avoid. – Go with your gut. Price seems too good to be true? Little idea of how long the job will take? Don’t seem to have the right tools? Cash? – Ask for and check out at least two references. Inspect the work if possible. Of course it’s easier to inspect the work and quiz the referee if you already know that person. – Do some basic checks. They should have a landline phone, an address and be registered with Companies House as a minimum. – By far the best thing is to get word-of-mouth recommendation. Easiest way to do that is on PropertyHeads where you will be shown the tradesmen known by your existing trusted contacts. The report, titled UK housing: Fit for the future?, also states that, from 2025 at the latest, new homes should be heated using low carbon energy sources, have “ultra-high” levels of energy efficiency alongside appropriate ventilation, and be timber-framed where possible. It also found that emissions reductions from the UK’s 29 million homes have stalled, while energy use in homes – which accounts for 14% of total UK emissions – increased between 2016 and 2017. The report said: “We will not meet our targets for emissions reduction without near complete decarbonisation of the housing stock. Energy use in homes accounts for about 14% of UK greenhouse gas emissions. Key problems halting the progress of energy efficiency and decarbonisation cited by the report included significant policy gaps where climate-related risks are concerned, as well as a lack of ambition with building standards, which the report described as “overly complex” and having poor compliance. 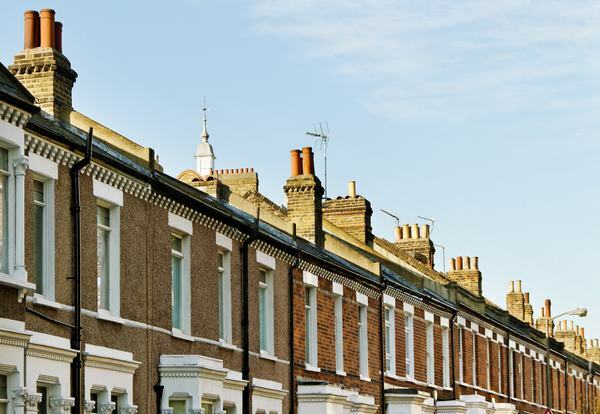 Baroness Brown, Chair of the CCC’s Adaptation Committee, said: “This report confirms what we have long-suspected: UK homes are largely unprepared for climate change. The government now has an opportunity to act. There must be compliance with stated building designs and standards. Councillors in South Ayrshire have approved a capital investment programme that will see almost £350m spent over the next 10 years on projects including leisure facilities, schools and roads. More than £113m will be invested in schools and early years facilities over the next decade. This includes new schools for Girvan Primary (£22.4m), Carrick Academy in Maybole (£21.2m), Glenburn Primary and St Ninian’s Primary shared campus in Prestwick (£17.6m) and Sacred Heart Primary in Girvan (£3.9m), as well as a range of school refurbishment projects. Early years projects being progressed in 2019/20 include the opening of the new Cherry Tree Early Years Centre. Almost £50m of the programme will be spent on sport and leisure facilities across the area. This includes £40m for a new leisure facility in Ayr town centre and £7.1m for additional sporting facilities at Craigie Sporting Centre. An additional £9.5m has been added to the programme for road reconstruction and improvement, taking the total over the ten years to £17.5m, while more than £5m has been allocated for street-lighting and LED replacement. Funding of £21m has also been added to the programme in respect of investment in Prestwick Airport as part of the Council’s contribution to delivering the Ayrshire Growth Deal, which is being supported by funding of £200m from the UK and Scottish Governments. The 2019 Women Installers Together (WIT) conference will take place on 4 July, the event organisers have announced. The WIT conference aims to provide a forum to discuss ways in which the industry can improve access and conditions for women plumbers. 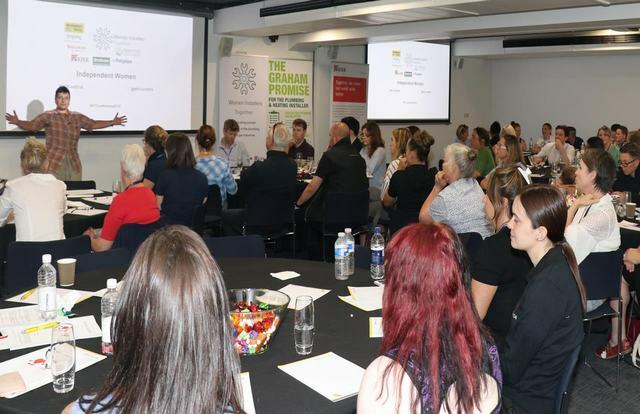 This year’s conference will take place on 4 July at the Building Centre, Store Street, London, but the format will be slightly different with round table discussions added so that delegates can share stories and experiences of working in the industry. Throughout February and March 2019, Low Carbon Workspaces is making grants of £1,000 available to 50 small and medium-sized businesses spending over £2,000 on a first-come, first-served basis – the deadline is March 31st. The Low Carbon Workspaces £1,000 Energy Cashback grants can be claimed towards LED lighting, heating and cooling upgrades, insulation, double-glazing, energy efficient computer servers and printers and other projects that will result in a quantifiable carbon saving. The application process is quick and easy, however, the grant must be awarded before installation commences or any payments to suppliers are made (including deposits). Bosch Commercial and Industrial has announced a series of enhancements to its popular GB162 light commercial gas boiler, for improved installation, servicing and operation. A key feature of the new GB162 is the introduction of overpressure flues which result in reduced installation height and increased flexibility. With each flue containing a flue gas non-return valve, the need for a large cascade flue header is removed, while flue gases are prevented from re-entering cascaded boilers which aren’t firing. This results in reduced installation costs due to smaller flue diameters, and makes the solution even better suited for buildings with narrower chimneys and in plant rooms with low ceilings and restricted space, making it retrofit friendly. 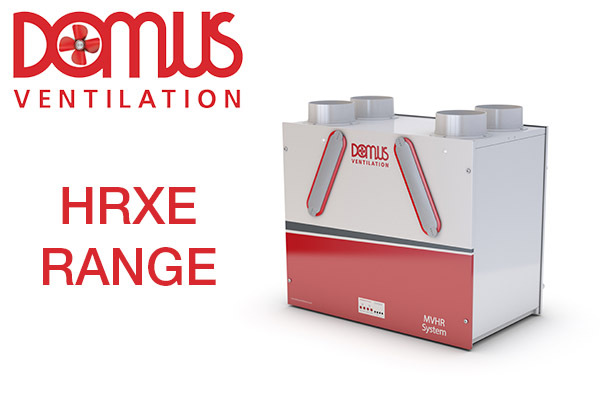 The new boiler model also features an improved syphon with a threaded connection for a secure fit, offering peace of mind to the commissioning engineer, while 360° insulation helps to reduce heat loss and energy consumption. The addition of a single-sided removable cover also improves access to internal components to simplify servicing and maintenance, particularly for cascades in tight plant rooms. 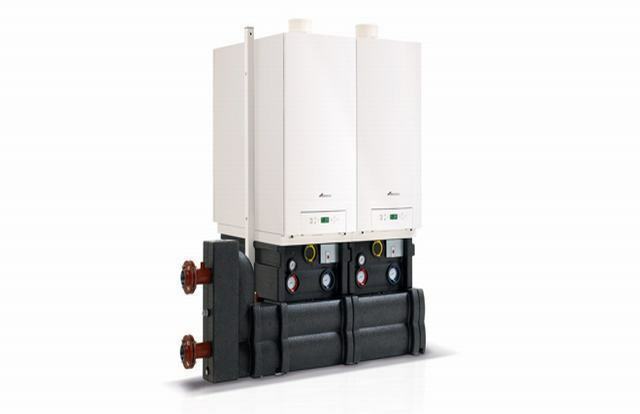 The GB162 now boasts a new pump group which offers the combination of lower hydraulic resistance and more residual pump head, which is ideal for single boilers and single heating circuit installations to reduce installation costs and energy bills, as there is no need to run an external system pump. Crucially, the updated GB162 is compatible with the leading connected commercial boiler control. The Control 8000 allows for medium and large commercial heating systems to be monitored and controlled remotely via a computer or tablet, helping service engineers to know exactly what is wrong with the heating system before they come to site. For more information on Bosch Commercial and Industrial and its range of heating, cooling and hot water technologies, please visit www.bosch-commercial.co.uk. Alternatively, follow Bosch Commercial and Industrial on Twitter (@BoschHeating_UK) and LinkedIn (Bosch Commercial and Industrial UK). 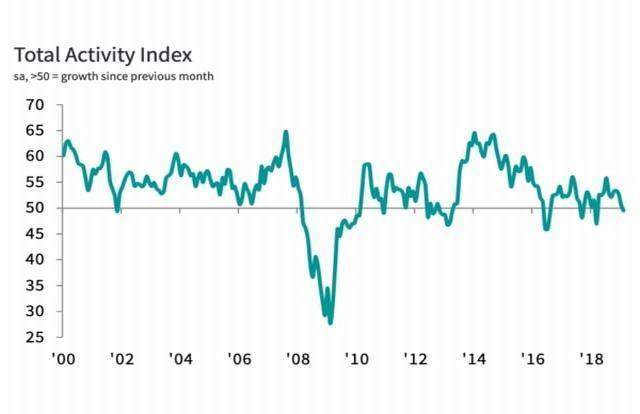 The IHS Markit/CIPS UK Construction Total Activity Index registered 49.5 in February – the first time it has dipped below the 50 no-change mark since March 2018. A drop in commercial and civil engineering work caused the fall with residential construction the only sector still expanding. Tim Moore, Economics Associate Director at IHS Markit, said: “The UK construction sector moved into decline during February as Brexit anxiety intensified and clients opted to delay decision-making on building projects. “Risk aversion in the commercial sub-category has exerted a downward influence on workloads throughout the year so far. This reflects softer business spending on fixed assets such as industrial units, offices and retail space. “The fall in commercial work therefore hints at a further slide in domestic business investment during the first quarter, continuing the declines seen in 2018. 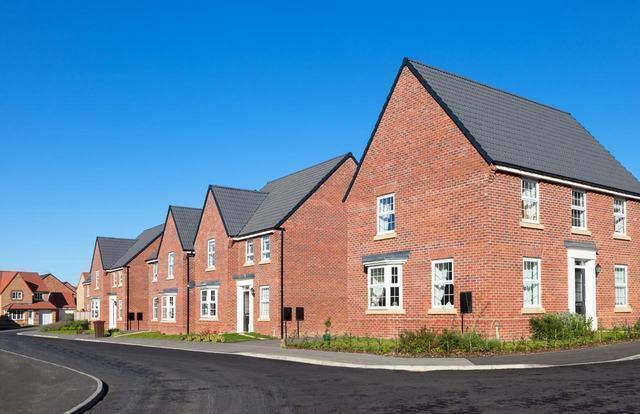 “There were also reports that the more fragile housing market confidence has begun to act as a brake on residential work, which adds to signs that house building has lost momentum since the end of last year. “This leaves the construction sector increasingly reliant on large-scale infrastructure projects for growth over the year ahead. “Construction companies pared back their purchasing activity in response to subdued demand in February, but delivery delays for inputs were among the highest seen over the past four years. 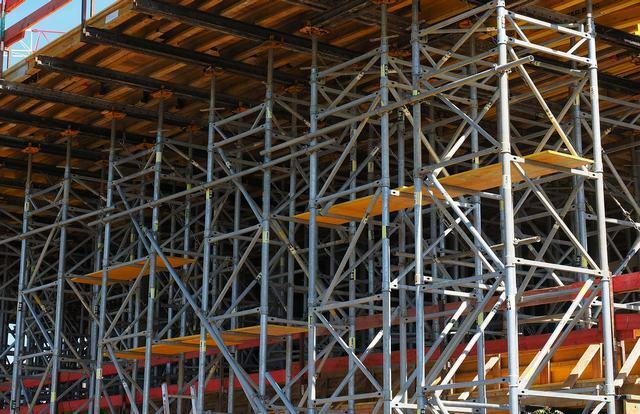 “Survey respondents noted that stockpiling efforts by the UK manufacturing sector had an adverse impact on transport availability and supplier capacity across the construction supply chain. “On a more positive note, input price inflation held close to January’s two-and-a-half year low. The 18th Edition regulations represent a change of protection for installations, designed especially to increase the level of safety and reduce the risks associated with transient over-voltages. With the changes now in force, Scott Gallagher of Finder looks at the origins of surge protection. In 1752, Benjamin Franklin conducted his revolutionary experiment capturing charges from a mere cloud. An early adopter of health and safety, Franklin was cautious to stand on an insulator, keeping his long-frizzled hair dry under cover to protect himself and to prevent the disaster of an electric shock. Others, captivated by the projects of Franklin, were indeed electrocuted in performing lighting experiments during the months immediately following, which highlighted the danger and the importance of the possibility of this discovery. Not one to be disengaged from his passions, Franklin invented the ‘lightning rod’, the first real step in surge protection. 1775 marked the year that Alessandro Volta, a professor of physics at the Royal School in Como, developed an improved version of the ‘Electrophorus’; a device that produced controlled, high voltage, static electricity. Volta continued his investigations and in 1776 ignited methane with an electrical spark, 80 years before the invention of the spark plug. One of the first to develop a real understanding of electricity, Volta went on to create the ‘Voltaic Pile’, a precursor to the modern battery, and now all those volts in a surge are named after him as a mark of his discoveries. 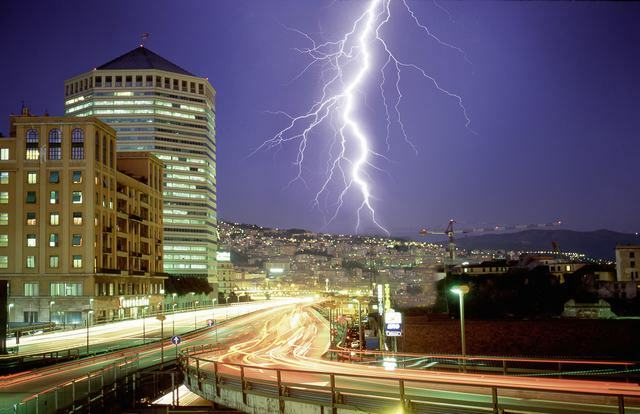 Franklin’s invention of the ‘lightning rod’ provided the world with what was thought to be almost all of the protection it needed, stopping tall buildings from catching fire during the vicious thunderstorms that arose, until the invention of the ‘electric telegraph’. However, the development of electrical distribution systems in the late 19th Century brought the unfortunate consequences of electrical disturbances to everyone. And as those systems and the attached installations manifested in size, complexity, and value, so did the need for a more sophisticated approach for protection. That leads us to what we have today and the topic of this article, a new change in the wiring regulations. January 2019 represented an important milestone in the industry. 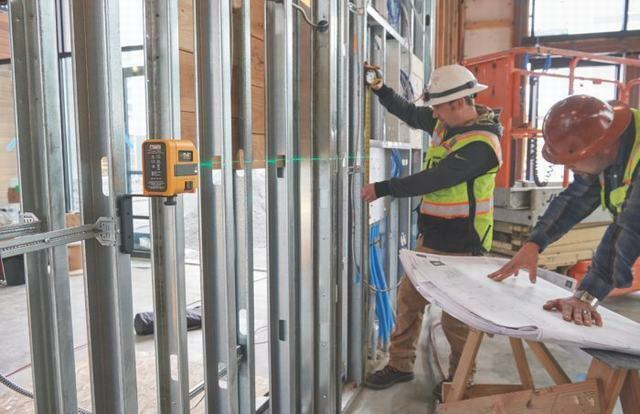 Changes for the 18th Edition of the Wiring Regulations went live, and some of these changes mean that surge protection devices (SPDs) have increased importance in installations. Now, a risk assessment is required to be carried out by an electrician to determine whether an SPD should be installed. If a risk assessment is not carried out, then an SPD must be automatically installed. Over-voltage protection is now required in certain circumstances, such as: where there is a risk of serious injury or loss of life; where many co-located people are affected; and where there is an interruption to public services or commercial/industrial activity. 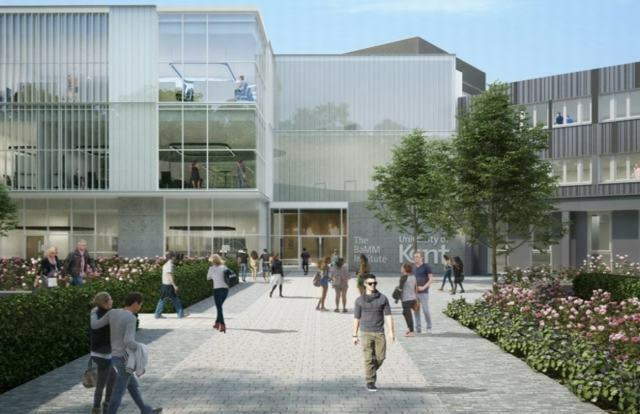 The University of Kent is pressing ahead with plans to build a £20m Life Science Building at its Canterbury Campus in Kent. Architect Stride Treglown with building services engineer Hoare Lea and Craddys have designed the new education building which will connect to the existing science block. Expressions of interest must be made by the end of March on the Delta E-sourcing portal with bids expected to be invited from selected contractors by 5 April. 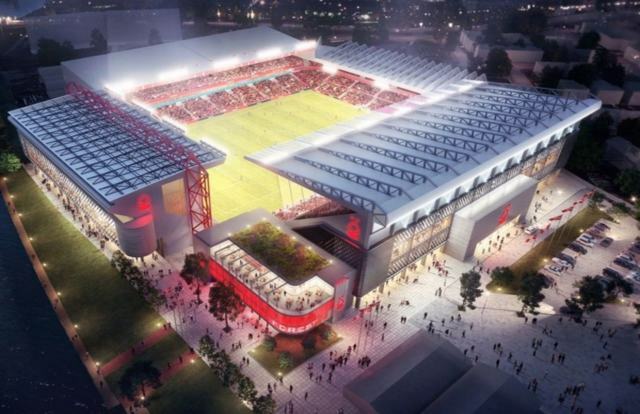 Nottingham Forest have revealed plans to redevelop the City Ground in a move that will see it become the largest stadium in the East Midlands. The club have been drawing up redevelopment plans for 18 months with the aim of starting at the end of next season. Plans include building a new Peter Taylor Stand and improvements to the Trentside area, Brian Clough and Bridgford Stands. The new stand will include a museum, new club shop and a range of hospitality lounge facilities. 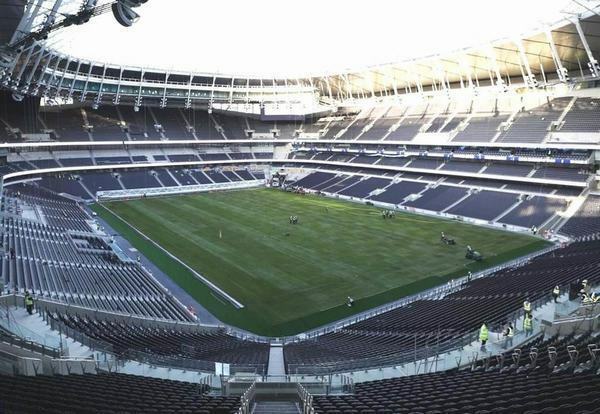 When complete The City Ground’s capacity will reach 38,000. Nottingham Forest owner Evangelos Marinakis said: “The City Ground has iconic history and memories for our supporters and these legacies were fundamental in our decision us to remain on the banks of the River Trent and not relocating to an alternative site. “This is our home and we will remain here forever.